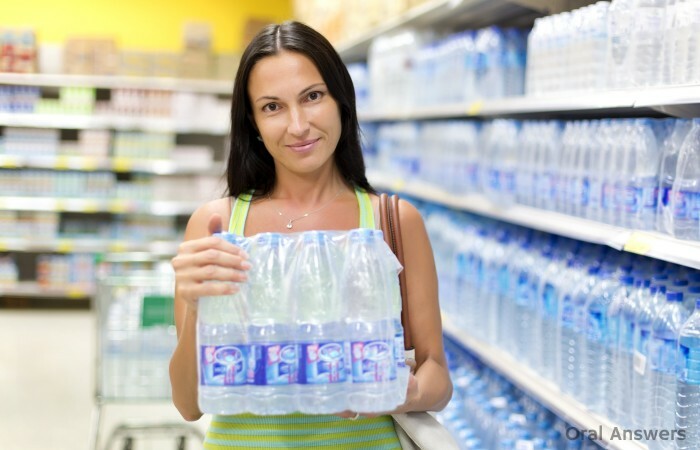 Did you know that bottled water is about 500 times more expensive than tap water? Despite this fact, many Americans (myself included) buy billions of bottles of water every year. In 1945, Grand Rapids, Michigan was the first city to add fluoride to the public water supplies. Fluoride makes teeth more resistant to cavities, but with so many people turning to bottled water these days, are they still getting the benefits of fluoride? I decided to investigate the amount of fluoride in bottled water by taking a look at 13 popular bottled water brands and finding out how much fluoride each bottled water brand contains. I was fairly successful in finding out, except for one brand, but I should be getting something in the mail from them if things go right! How Much Fluoride is In Bottled Water? 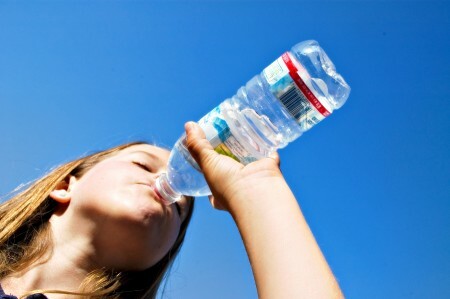 Many people claim that bottled water doesn’t contain any fluoride. While analyzing 13 of the more popular bottled waters in the United States, I found out that all of these bottled waters do contain some fluoride. Here’s the results of each bottled water brand and how much fluoride it contains. You can skip down to the bottom for a summary graph. Aquafina claims that their bottled water contains less than 0.05 ppm fluoride in the Aquafina Water Quality Report (PDF), however the U.S. Department of Agriculture did some testing and found the average to be .05 ppm fluoride with some bottles of Aquafina containing up to 0.09 ppm fluoride. According to the Arrowhead Quality Report (PDF), Arrowhead brand spring water contains anywhere from less than 0.1 to 1.3 ppm fluoride. Crystal Geyser brand Contains Anywhere from 0.088 to 0.74 ppm fluoride depending on which of their six bottling plants the spring water comes from according to the Crystal Geyser FAQ Page. Below is a link to the bottled water quality report for all six bottling plants. Crystal Geyser appears to be the most transparent bottled water company when it comes to divulging their fluoride levels. The Crystal Geyser Benton, Tennessee spring contains 0.088 ppm fluoride. The Crystal Geyser Moultonborough, New Hampshire spring contains 0.16 ppm fluoride. The Crystal Geyser Mt. Shasta, California spring contains 0.25 to 0.34 ppm fluoride. The Crystal Geyser Norman, Arkansas spring contains 0.11 ppm fluoride. The Crystal Geyser Olancha Peak, California spring contains 0.61 to 0.74 ppm fluoride. The Crystal Geyser Salem, South Carolina spring contains 0.29 ppm fluoride. Dasani’s Water Quality Report (PDF) only states that fluoride was not detected above 0.8 ppm. Not very specific, if you ask me! Since Dasani water is simply purified municipal water that is filtered via reverse osmosis, most of the fluoride is removed from Dasani water before the bottle makes it into your hands. The U.S. Department of Agriculture’s study found that Dasani bottled water contains on average, 0.07 ppm fluoride, with values ranging anywhere from 0.02 to 0.19 ppm fluoride among the 20 Dasani water bottles that were tested. Deer Park spring water contains <0.10 to 0.19 ppm fluoride according to the Deer Park Water Quality Report (PDF). Deja Blue appears to contain less than 0.10 ppm fluoride based on this report. I then asked for a bottled water quality report, and she said that she thought they could send that to me. I gave them my address and if they send it to me, I will update this section. I’m under the impression that they legally have to provide a water quality report to inquiring consumers, but I’m not a lawyer! Evian’s Water Quality Report (PDF) states that Evian contains less than 0.10 ppm fluoride. The U.S. Department of Agriculture’s study pins Evian’s fluoride content right at 0.10 ppm fluoride, with values ranging from 0.07 ppm to 0.15 ppm fluoride. FIJI artesian water contains 0.29 ppm fluoride according to the FIJI Water Quality Report (PDF). Ice Mountain contains a trace amount of fluoride up to a maximum of 0.072 ppm fluoride according to the Ice Mountain Bottled Water Quality Report (PDF). Contains trace amounts of fluoride up to 0.13 ppm fluoride per the Nestle Pure Life Bottled Water Quality Report (PDF). Ozarka natural spring water contains 0.07 to 0.088 ppm fluoride according to the Ozarka Bottled Water Quality Report (PDF). Interestingly, they also show that their fluoridated spring water contains 0.77 ppm fluoride. Poland Spring bottled water contains 0.075 to 0.17 ppm fluoride according to the Poland Springs Water Quality Report (PDF). They also state that their fluoridated brand of spring water contains 0.86 ppm fluoride. It’s interesting that both Ozarka and Poland Spring, which are owned by Nestle, appear to add differing amounts of fluoride to their fluoridated subset of drinking waters. 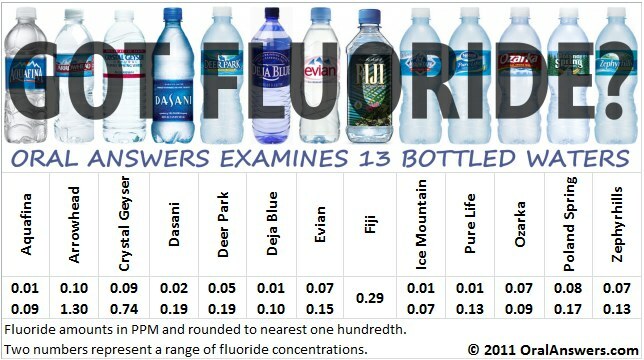 Here’s a summary graph showing how much fluoride is present in the various brands of bottled water. Another note I forgot to add to the graph is that when the bottled water quality reports stated that there was an “undetected amount” or that it was “below the minimum reporting limit” I simply used 0.01 ppm fluoride in the graph above. Since I love Perrier sparkling water so much, I did some research to find out how much fluoride it contains. Perrier contains 0.18 ppm fluoride according to the Perrier Water Quality Report. Questions, Comments, and Concerns about Fluoride in Bottled Water? If you have any questions, comments, or concerns about the amount of fluoride in bottled water, feel free to leave a comment in the comments section below. Also, in order to find out which bottled waters to include, I took the top 20 bottled waters worldwide, then picked out 13 that are widely sold in the United States. If you’re curious about the amount of fluoride in a different brand of bottled water, simply ask in the comments and I’ll try to find out. Thank you for contacting us about Deja Blue. Your comments and inquiries are appreciated because they provide valuable feedback about our brands. While we do not actively measure fluoride in any of our drinks, we do want to mention that Deja Blue Water is subjected to reverse osmosis at our plants, which should effectively remove any trace of fluoride in it. It is interesting to note that Aquafina says that their bottled water is purified through reverse osmosis but it still contains traces of fluoride. According to the latest reports and statements Fluoride can not be removed from water, not only that by reverse osmosis they are removing all minerals and nutrients from the water. TO BAD WE NEED TO DRINK WATER FOR OUR HEALTH, BETTER DRINK BEER HAS MORE SUBSTANCE IN IT. Any commercial business is so profit oriented in this unethical world that I doubt any one is telling the truth. It’s pure criminal what these low life water companies are doing. First of all water should be free to all the people! Selling tap water and calling it spring water. When all the fracking gets done cancer will reach an all times high. Your F Gov is looking out for you! you are right my friend but how many people understand and are open to accept fact that they are here on Earth to be exploited? …. Is that calcium fluoride or sodium fluoride (toxic)? Fluoride’s the reason for many conditions and deseases. It’s pretty much on the opposite of what you think. Dig a little deeper! this is exactly right G….toothpaste has “call poison control if too much floride ingested..”….yet its added to the water…..so after how many bottles do I call poison control?! …its terrible how we are killing ourselves slowly…whats wrong with just water and minerals…? The fluoride in toothpaste is a different compound than found in water, the waste fluoride compound from aluminum plants is what is put in tap water, also the bottled water to an extent. It’s ALL part of the new world order to reduce populations, put us in encampments, we own nothing, everything provided by the evil demonic beings (not human mind you) to control the masses world wide. We are to become slaves of Satan who is “the Prince of the air(waves) through radio, tv, cell phones and everything electronic including mind control. If you are not saved by Jesus Christ, you are open to the demonic forces of this world until God restores the earth to a place full of His glory and righteousness! Satan is already defeated but he’s ruler of this world…for a short time. So… fluoride is attracted to calcium, that’s the basis for poisoning our water. What’s more, it can cross the blood-brain barrier and accumulate in the brain. Naturally occurring fluoride tends to be bound to calcium, and is therefore less harmful and STILL non-essential, while the industrial waste pumped into tap water is NOT bound and more toxic on the order of 80x. The toxic crap that our tax dollars are paying to poison ourselves – probably under the auspices of a sci-fi-esque dumbing down and control already practiced by the Nazis – has absolutely no place in our society. But, good exposé otherwise. How about Sparkletts Bottled Water (non-fluoridated), any ideas? Fluoride is accepted in the body on the same receptors that want iodine. Iodine is beneficial to the thyroid, fluoride is poisonous. Fluoride has reduced cavities by about 20 percent since it has been added to water. Along with 20 percent less cavities, the I.Q. of children has decreased by the same percentage. You people are Insane! Flouride is the one and only active ingredient in rat poison. It isn’t here to help you, but to kill you! I take Warfarin which is the main ingredient in certain rodent baits. Mount Franklin water, owned by the Coca Cola company. Except for the two posters above me. Lets hope Ron Paul gets this issue resolved. WHEREAS the Idaho Attorney General recently opined that artificial water fluoridation is a controversial issue most appropriately resolved politically within an affected Idaho community. THEREFORE, BE IT RESOLVED THAT the Bonner County Republican Central Committee urges and petitions the Sandpoint City Council members to make an immediate motion to repeal Ordinance 1034, the fluoridation of city water, and call for a recorded vote of the individual council members. BE IT FURTHER RESOLVED THAT the Secretary of the Bonner County Republican Central Committee be hereby authorized and directed to forward a copy of this resolution to the Sandpoint Mayor and City Council members, members of this central committee and the media. Not surprising Arrowhead (Nestle) had the most amount of fluoride in its water based on its logo, being that the mountain looks more like a pyramid, and the dark shadows on the face of the mountain look like an owl spreading its wings. Which, for awake people, understand the pyramid used in logos end up belonging to companies with ties or directly part of the New World Order, and owls in logos, and also architecture, are a common mark for the Freemasons that worship the Owl of Molech. It’s also hysterical that Arrowhead water is usually the cheapest on the shelf from what I’ve seen in Northern California. Wow, excellent observation. I have avoided Nestle products since 1993 as I am a lactivist – lactation activist. They have been killing children by promoting formula over breastmilk for years and years. Now they have bought land near Lake Michigan and are draining the lake to sell it to china, bottle by bottle. See Water Wars the documentary. EXACTLY, Lulubelle! Nestle is also owned by the idiot who thinks he has a patent on water and no water should be free- he advocates the insane idea that rainwater and any other water should be taxed or otherwise paid for! Ice Mountain is Nestle as well. We are living in London and are concerned about the lack of flouride in the drinking water. Can you tell me what brands of bottled waters you would recommend here in the UK. Also, what are your thoughts on flouride tablets? I received some, but they say we shouldn’t take them within 2 hours of calcium products, but for children this is a difficult task. Thanks for your help. Dont take them at all you will get sick. I suppose no bottle water is good for you im buying a home tap water filter from pure water freedom for my sink and a shower head that filters the water. And I just bought a bottle of Ozarka that im about to go throw down the sink. WAIT (or, now noticing the post date, REASSESS). Most home filters don’t filter out fluoride, or many of the harmful VOC’s, Trihalomethanes, arsenic, and hundreds more contaminants… (http://www.ewg.org/tap-water/rating-big-city-water.php), etc — especially unless they have a dedicated filter for fluoride, or are a reverse-osmosis system. Read up before you unknowingly rely on something to your detriment. The shower filters only really work on chlorine (and chloramines to a lesser extent) which is good to do, but you’re still breathing in the now airborne chemicals, especially during a hot shower, and absorbing through the skin unless you have a whole house filter, first. Horrified to find my britta water filter is putting fluoride in my filtered water!!!! Natzi Germany gave people in the concentration camps Fluoride because it subdued them… It does Not stop cavities cutting out All refined sugars will !! This is a poison….. Being added to our water. Wise up and wake up to the poisons in our food and water chain. Great info, glad I stopped by. The fluoride in our water is a highly toxic chemical biproduct of aluminum, steel, and cement production. It is a class 4 chemical (highest toxicity rating there is). It is more toxic than lead and only slightly less Toxic than arsenic. The so called benefits of fluoride were invented by “studies” funded by alco and the other fluoride producers for obvious reasons. Many cities spend millions of taxpayer dollars each year (my county spends 2.5 million!). Even if these benefits were rooted in fact we still know fluoridation is conclusively linked to cancer rates so why would you WANT more flouride? Shouldn’t we be more cautious about ingesting dangerous chemicals even if in small amounts? Come on people think! Hi Luke – The fluoride described above that is present in bottled spring water is actually naturally found in the earth and makes its way as a mineral into that water – it’s all a very natural process. There are no studies that “conclusively” link fluoride to cancer. I do agree that we need to be cautious about what we ingest, even in small quantities. Thanks for your comment! Hi, I am pregnant six months with baby boy and I’ve been so worried about everything I ingest My first pregnancy I lost my girl she was very sick. I usually drink Crystal Geyser and Arrowhead sometimes other brands like dasani and aquafina, I am just wondering what is the best to drink while pregnant because I drink a lot of it maybe 5 6 bottles a day because I’m prone to dehydration and dry mouth. I know A few weeks ago maybe a month or so I drank a brand I didn’t recognize (someone bought it for me) and later that night or next morning I felt like I tasted something chemical in my mouth I never tasted that with any of see bottled water , my boy so far is healthy but I want to make sure I don’t cause something by what I ingest. Briana that is most likely the lack or excess of minerals in the water you are tasting or its distilled water both have a bad taste. Some bottled waters have a metallic taste sometimes I think your kids will be ok don’t worry. 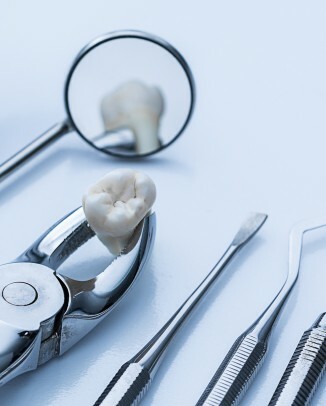 that metallic taste in your mouth could be a sign of gingivitis/gum disease which if left untreated can damage your heart and your kidneys, among other things. Just eat as many vegetables and fruit as you can find, and eat as vegan, and whole, and organic a diet as you can.! It’s unhealthy to drink bottled water that has sat in the sun , Google it. That can also cause a chemical taste. And natural fluoride is completely different then What is added to our water. Knowledge is power. Keep researching and fighting for clean water. Fluoride is most harmful to a child growing. Parents need to research this and stay away from fluoridated nursery brand waters. I grew up with fluorinated water from our city water supply. Never once have I had any teeth issues. Except now. I have lived in a community that does not fluorinate the water and my child and I are suffering from it. My 6 year old has had $2000 worth of dental work in the last six months. I am very strict about oral care, so the horrible dental report floored me. My teeth have began to deteriorate as well. I am not alone in this battle in our community! My daughters kindergarten class has 20 children that have mouths full of silver caps or rotten teeth. 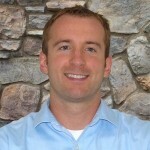 Our small community supports twice as many dentists as a fluorinated community! I’m trying to find the best bottled water product to replace or drinking water! There is no evidence that DRINKING fluoride prevents tooth decay, the studies show its positive effects in TOPICAL application. You are perpetuating the water fluoridation myths. Janelle, you need to research dental fluorosis! Are you serious? Your health problems or teeth being bad has nothing to do with fluoride in your water! I hve not had fluoride in my toothaste nor in my water as I buy a special water filter bottle and my teeth are better than ever the last few years, infact growing up I had to get fillings and had cavities, now it’s alot BETTER. Fluoride is a poison they used in concentrations camps in Germany, it is a poison. With that many children affected in one area, I’d strongly suggest that it’s time to “Erin Brockovich” the situation. I’d say that there’s something depleting mineralization or some sort of unknown chemical affecting the air, water or soil. Other than dental problems, have you witnesses anything else that might be a “red flag”? What you want, are calcium or calcium fluoride supplements, aluminum fluoride (added to water) fights calcium for placement in the bloodstream/tissue/bone and will cause a yellowing just like tooth decay, dentists/orthodontists will call it dental fluoridation, aluminum fluoride will also cause osteoporosis with age and accumulation… I wasn’t barely 15 by the time i was diagnosed with it, wondering why no matter how much I brushed my teeth wouldn’t whiten, and would yellow worse and worse. This article is not accurate about Crystal Geyser. According to the link you provided there is no fluoride detected in their water. Hi custard – I’m not sure which link you are talking about – let me know and I can try to update it. The link to their FAQ page here still states that their water contains up to 0.7 PPM fluoride, which is what I stated above. It’s naturally occurring calcium fluoride not to be confused with anything harmful like added fluoride. the plastic the bottles are made from last for hundreds of years and are damaging the ecosystem. define “affordable” use all the money you would have spent wasting space at the dumps of the world, and buy a reverse osmosis water filtration system for your home that comes with an ionizer. I dont see the water company “Primo” listed in your results? Do you have information of the fluoride amounts in this one? Well if it truly is spring water then the fluoride is naturally occuring n the water, just as it would in well water, which is MUCH different than the fluoride added to our city water supplies, which is fluoride from the smoke stacks of factories. So where the fluoride coming from matters. I thought this was a chart showing the companies that use the most flouride, and a warning to stay away from them! Either way, thanks for doing this! I know to stay away from FIJI at all costs; it’s interesting that THAT’s the one marketed as pure and fresh! It is not good for you or your teeth! During the 1990’s, research conducted by Harvard toxicologist Phillis Mullenix showed that fluoride in water may lead to lower IQ’s, and produced symptoms in rats strongly resembling attention deficit and hyperactivity disorder (ADHD). 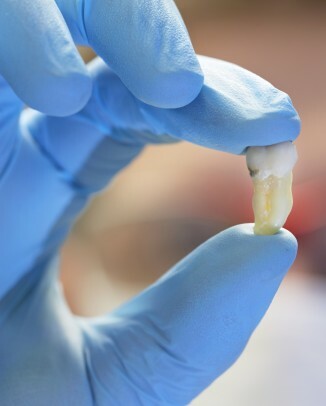 Just days before her research was accepted for publication, Mullenix was fired as the head of toxicology at the Forsyth Dental Center in Boston. Then her application for a grant to continue her fluoride and central nervous system research was turned down by the US National Institute of Health (NIH), when an NIH panel told her that “fluoride does not have central nervous system effects”(Griffiths 1998). Do you know where the chemicals come from? The scrubbers on top of smoke stacks…they had to find something to do with their chemical waste so they hatched a plan to sell it to municipalities to put the chemical in the water supply. Buy Fluoride filters and do not let you kids drink tap water!!!!!! well if it’s on youtube, it has to be true!! Tom, in your effort to enlighten about the naturally occuring fluoride in mineral form. You forgot to specifically inform us it’s s ground water you’re talking about and even at tha, the depth of the Well has to be above 100metres. What about consumers whose supply is the surface water. Are you suggesting they have the same fluoride level or what are you saying. I do like the information that you have so kindly shared. It is informative and comprehensive. Fortunately for me, I use neither bottled nor tap water. However the information provides good source material for me. Can you share with me, any information you may have about the effects of alkaline water on the teeth? Hi Jacqueline – All I know is written in this article Is Alkaline Water Good for Your Teeth? I hope that helps! Good work. How about Smart Water? I was wondering if Sam’s Club brand Members Mark 4 gal has any fluoride in it? Just click on the Sam’s Club BWFA PDF file at the bottom of the page. I hope that helps! Every article or discussion on this as well as other issues &GMO, our food supplies etc. There are always trolls trying to state the opposition, deny its not good for you. If they’re going to pay so much for this via tax dollars other means, they’re sure enough to pay people to try and sway others into thinking the same. It’d be pretty bad for them if everyone woke up & stopped use of products. They would be less dumbed down & not subdued consumers. I always see the no studies reports that these things are bad for you, when there are multiple reports, studies articles saying differently. And even if so, give me these non biased (not paid for by comps that have interest in them) studies that show the pro’s for theses things and how they out weigh the con’s. Fluoride studies have shown causes of lower IQ (purpose it was used in Nazi concentration camps), Alzheimer’s & dementia from aluminum from fluoride in the brain, osteoporosis, etc. I personally used to drink tap water all the time & for the most a lot of it since I don’t drink much besides water, I got diagnosed with osteopenia(like osteoporosis, just the holes in bones are smaller) at 30, the drs said they don’t typically see this in someone my age/so young. So I’ve personally seen the effects of this first hand & regret drinking so much tap water growingup. Pretty messed up world we live in, why would a bunch of people make propaganda saying our food, water, air supplies are poisoned? What would we gain from that? As to why such evil would do this, I don’t know either, but I do know we’ve seen this on a smaller scale in Nazi Germany. And if for some reason I wanted massive control of populations, you know where’d I start? The bare necessities, the things we need to survive. Thank for the information and ur research but if possible can anyone direct me to a way or source of bottled water that doesn’t contain sodium fluoride !!!!! I live in Sugarland Texas and it seems that everywhere I look all bottled water don’t state that they have sodium fluoride and tape water has a high percentage !!! How about essentia water, does it have any fluoride in it? Fluoride is responsible for a condition called fluorosis. Fluoride is made from phosphate fertilizers. In the process of making fertilizers, fluoride escapes into the air. They invented wet scrubbers to remove it from the air because it was causing health problems in the workers and surrounding areas. The remove this toxic by product from the air, while making fertilizers. They put it in barrels and passed a law that says public water companies must fluoridate the public water supply “because it helps prevent cavities.” Lmao How gullible are people. Sounds to me like DOW doesn’t have any other way to dump pollution. So they paid lobbyists, to sway the opinions of your senators and get people elected so they will pass unconstitutional laws making it mandatory to fluoridate the water. The vast majority of these comments are why science literacy is so desperately needed in this country. Most of you are all spouting unverified, misleading and flat out wrong “studies” done by people pushing various agendas. Is there a movement going on for them to stop putting fluoride in our water? If so the name please. Deer Park Water – this is the bottled water served to U.S. congressmen in their Washington DC meetings. It’s naturally low in fluoride. Over the decades congressmen have voted for funds to support fluoridation. They just don’t drink it themselves in their meetings. Years ago the Los Angeles water department was embarrassed when they were caught buying non-fluoridated bottled water for their employees while advocating fluoridated tap water for everybody else. In Los Angeles city employees now pool their money to buy non-fluoridated bottled water for their offices. Grand Rapids Michigan is the first U.S. city to start fluoridation. But now it’s the location for the home office of a company that sells “Boxed Water.” This is a type of non-fluoridated purified water that costs about double what most bottled water costs, but it comes in a cardboard box and seems like that makes it better for the environment. Too bad cardboard is way more expensive than plastic. In grocery stores there are a lot of bottled waters available. Most are low in fluoride. 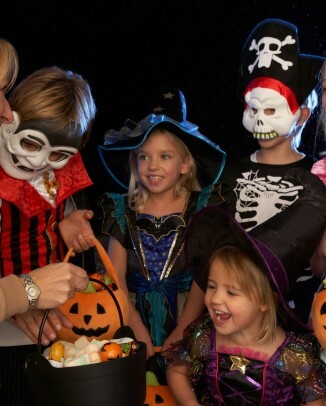 The fluoridated ones are targeted to children. Fluoridated bottled water has not sold well to adults. Most companies have a variety of bottled water they sell. I like Arrowhead “Spring Water”, which is from Big Bear Lake above Los Angeles, but they also sell “drinking water” which is filtered tap water, “distilled water” which is pure H2O, and others. Most Americans just grab the cheapest one and think the more expensive ones are for the suckers (including my sister.) I know most people don’t want to hear this but you got 12 years of free education, READ THE LABELS! There are NO REAL EVIDENCE from studies done around the world that Fluoride helps to prevent cavities! In Europe most nations no longer do this practice. This is all bull! This lie has been told for so long that is just accepted as truth. I am curious to know of an independent testing for fluoride in bottled water that is not US funded! USDA is obviously not a reliable source for any information. I Question all FACTS and studies that are funded by the U.S. Government. Not only water, but all information taken as FACT! Our pesticide levels for non conventional fruits and vegetables to Organic fruits and vegetables. Rotene which is an organic pesticide I have questioned about it’s benefits! This comment is just the tip of the iceberg, but if YOU can understand my point that all studies are funded by our Government and we are more educated on subjects then why do we take their studies and testing as FACTS???? in talking about bottled water containing fluoride, do you mean the fluoride is added to the water by the companies? I have a question regarding Essentia Water. I researched and found out it does not have Fluoride. I had the opportunity to by 6 bottles of Essentia Water one weekend and for three months now you cannot find this water nowhere in Northern California. If anyone knows which stores carry this water in Northern California please post. Hi. I read that Evian did not have fluoride and it was the best tasting water to me but I recently bought a bottle and it tasted very different like they added fluoride/something to it and my stomach started hurting shortly after. I read on the bottle afterwards that it said fluoride ion 0.1P.P.M. I don’t even know there is fluoride in bottled water, I just think it’s cleaner than tap water… And I also don’t notice the value mark. Thank you for sharing the post, I know a new thing. I buy water from BJ’s in the 5 gallon jugs provided by Polar (www.polarbev.com). I cannot find the fluoride amount (in ppm’s) in this water. Any help would be appreciated. Also, what is “OK” level of fluoride in drinking water?